Another little occasional strand for the New Year here: as well as being an avid book-reader, I’m an obsessive Radio 4 listener, though without the tendency (or time) to write cross letters to Feedback every five minutes (I just shout at the radio in the privacy of my own kitchen instead). The radio accompanies me out into the garden when I’m up for a long session, and I therefore get to listen to alot of those funny, quirky little daytime programmes which pop up more or less at random when relatively few people are able to listen to them. 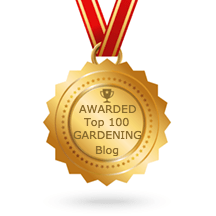 This means I often hear horticultural snippets buried in programmes masquerading as something else entirely unrelated to gardening: and it seems a bit of a shame to let them drift off unremarked into the ether so I thought I’d give them a little mention here instead. Open Country last week, for example, went to visit Elspeth Owen, who is frankly bonkers though rather endearing in an English eccentric sort of way (do visit her website – it’s quite extraordinary). She’s an artist and grandmother, and at the age of 71 chose to celebrate last month’s blue moon by living outside in the Cambridgeshire Fens with nothing to separate her from the sub-zero December temperatures but a three-sided open shelter. Which makes her more of an endurance competitor than a seeker of profound truths, but anyway…. Thanks to the wonder that is Listen Again, you can enjoy the programme in its entirety here: as well as composting and wild pears it encompasses the training of husky dogs, a singing post (aka a farmer’s metal gatepost) and midnight bead-burying rituals. Only in England, eh? Thanks for reminding us about this. The PG and I listened, but while snuggled up in our warm bed under a heap of duvets. (It was on horribly early, one Saturday morning.) Made me really appreciate the warmth.The sail story reminds me about the first house we bought, when newly married. A flock of curlews was wandering about the ploughed field behind the building and, since original name – 'black and white cottage' or 'black and cream cottage' depending on which postman you spoke to – was such a mouthful, we renamed it 'Curlew Cottage.' Ha ha! Never saw another curlew anywhere near the place.